Blogsites can drive new traffic to you like nothing else. Search engines love content that changes. It attracts them to your site. Blogsites make it easy to update content and keep the search engine spiders coming back over and over again. If your Website guests see you as an expert in your field, they will return over and over again to read what you say. Sharing your knowledge and opinions with them solidifies the relationship making it easier to motivate them to a sale. Writing about your products or services is a great way to market. A blog can offer you the opportunity to talk about your business offerings on a personal level and allow your guests to comment. Marketing has changed from a “shouting to the masses” paradigm to a “whispering to a friend” concept. If a friend tells you what to buy and what has worked for them, you listen much closer than if it’s being shouted to you on a global scale. Taking that one step further, social media can create the “whispering to a friend” concept like nothing else. And blogsites and social media go hand in hand. They were made for each other. With the many plugins available for blogsites, social media can be incorporated in to your Website easily and affectively making your new blogsite a marketing machine. While there are many reasons your business should have a blogsite, these are the most compelling reasons. If you haven’t thought about a blogsite for your business yet, you definitely should – it’s a cost effective, easy way to interact with your existing customer base, gain new customers and establish you as the expert. 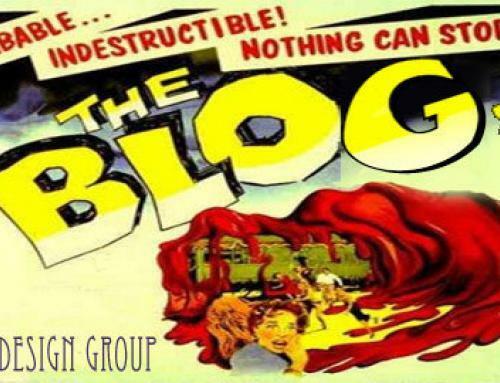 Blogsites are taking over the world – Do you have yours?